Portfolio rebalancing refers to the process through which investors periodically reset and realign the weightings of a portfolio comprising of a mix of stocks and bonds, with the main aim to maintain the original desired asset allocation level. Traditionally, portfolio rebalancing specifies that investors sell some of their surging equities, thus keeping their portfolios from becoming too stock-heavy and risky. This would be a particular important safeguard for investors if the bull market is nearing an end. For instance, say an original asset allocation target for an investor is to be 50% invested in stocks and 50% invested in bonds. If stocks are performing well throughout a particular period, this might result into the stock weighting of the overall portfolio being increased to 70%. Moreover, the investor may in turn decide to sell some stocks and buy additional bonds in order to get the portfolio back to the original 50/50 asset allocation. The aforementioned procedure may be referred to as portfolio rebalancing. Although the concept of portfolio rebalancing might be theoretically straightforward, it has always posed a challenge when being implemented in actual terms. Rebalancing too often might result in selling profitable investments too soon and missing out on big gains. However, waiting too long to rebalance your portfolio might result into the market altering your investment strategy and consequently being exposed to unintended risks. Moreover, the procedure of rebalancing a portfolio poses the dilemma as to how frequently a portfolio needs to be rebalanced. Since no single answer suits all investors, there’s no correct answer. What makes portfolio rebalancing a bit more complicated is that the willingness of investors to bear financial risk, commonly referred to as investors’ risk appetite, varies from one individual investor to another, thus making it impossible to find a uniform rebalancing procedure that suits all investors. Instead, there are several basic and non-complex options. One possibility would be for an investor to maintain his or her investment policies while simultaneously adjusting to market conditions accordingly. For instance, an investor may shorten his or her duration by rebalancing into bond funds that invest specifically in short-term securities, which are less likely to lose value should interest rates rise and bond prices fall. 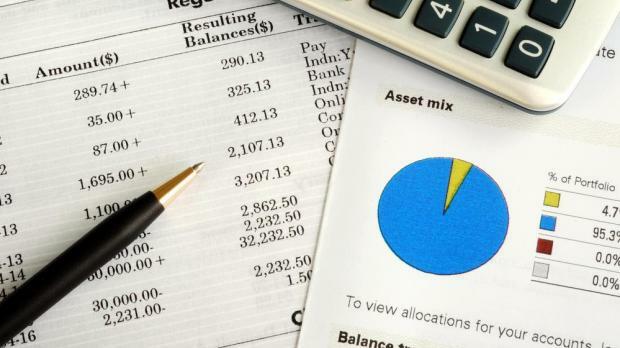 Investors who are less engaged in investing could rebalance their respective portfolio when they feel it is the appropriate time to do so, but upon rebalancing, it is key to ensure that the funds being allocated to fixed income securities are well diversified in major areas across the bond market. Through effective diversification, an investor’s portfolio is insured against market turbulence. Portfolio rebalancing is an investing concept that should not be followed blindly. A way forward would be to set basic thresholds. Rather than automatically rebalancing every year, investors should establish a range around their allocation target. In connection to the above-mentioned example, a range of 10% implies that investors should not rebalance back to their original allocation until the overall weighting in stocks surpasses the 60% range of the overall portfolio respectively.